It comes as no surpise that Pharrell Williams, Robin Thicke and TI have fied their appeal against the verdict in the 'Blurred Lines' case that saw them ordered to pay $5.3m (reduced from $7.3 million) and pay over 50% of songwriting and publishing revenues to the family of Marvin Gaye, after a jury ruled last year that their song copied Gaye’s 1977 hit 'Got to Give It Up'. Lawyers for the trio filed their opening brief with the Ninth Circuit Court of Appeals on 24th August, arguing that “if left to stand, the Blurred Lines verdict would chill musical creativity and inhibit the process by which later artists draw inspiration from earlier artists to create new popular music” and at the heart of their appeal is the argument that the Judge and indeed the jury shoud have simply considered the sheet music – the “deposit copy” filed with the the US copyright office - and not been influenced by the actual reciordings of either song. 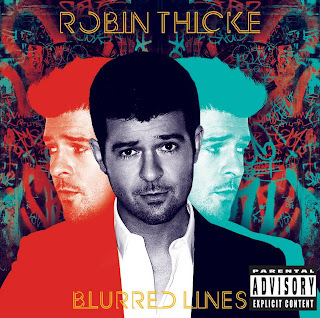 The "Blurred Lines" writers assert that when the court examined the two songs before the trial, Judge John A. Kronstadt shoud have ruled that the case was not worthy of trial. This writer was expecting an appeal well before the recent decison in the 'Stairway to Heaven Case' where Led Zeppling where found not to have plagiarised a song 'Taurus' by Spirit - a decision must have boosted the appellant's confidence. Although I somehow understand their counter argument on limiting creativity, the song does sound very similar to the original. Interesting case nonetheless!